Loretta Snyder (n�e Gregg), 86, formerly of Long Island, NY and currently of Statesville, NC, went to be with the Lord on December 19, 2017 after a brief illness. The youngest of nine siblings, Loretta was born February 7, 1931 in Elmont, NY, to the late Alphonse and Josephine Mathers Gregg and married the late Thomas Snyder Sr. November 19, 1960. 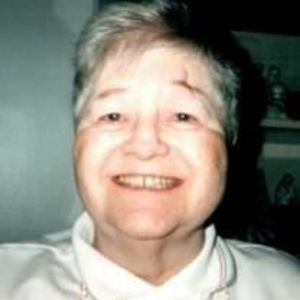 Throughout her life, she shared her love of the Lord and his life blessings whenever in discussion and was active within her church communities. She is survived by a daughter, Lori Snyder; a son, Thomas (Valerie) Snyder, granddaughters Kimberly and Brianne Snyder, all of Statesville, NC; a brother, Joseph R. Gregg, of Farmingdale, NY; two sisters, Rose M. (Leroy) Cahill, of FL, and Rita A. (James) Lentino, of Elmont, NY; and numerous nieces and nephews. In addition to her parents in going to be with the Lord, Loretta was reunited with her husband, Thomas Snyder Sr, and siblings Alphonse C. Gregg Jr., Francis J. Gregg, Richard J. Gregg, Anthony J. Gregg, and Marie M. Gregg. The family will receive friends from 6pm to 8pm today (Friday, December 22) at Bunch-Johnson Funeral Home, with services to follow in the Bunch-Johnson Funeral Home Westmoreland Chapel with Rev. Mack Mathis officiating. Bunch-Johnson Funeral Home is proud to be serving the Snyder family at this time.